From the time he arrived on the political scene in 1964 - throughout his presidency and beyond, Ronald Reagan - used his speeches to inspire and reinvigorate America. When he spoke, Reagan, said, he was "preaching a sermon." The American people saw his vision of America and his dreams for the future and they overwhelmingly responded; he was re-elected in 1984 by the largest number of electoral votes in the nation's history. 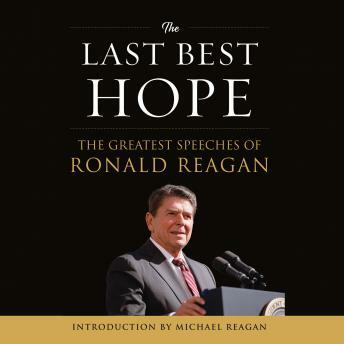 Here in this collection of twenty-eight speeches spanning the Reagan era, readers can find inspiration in Reagan's "sermons." Ronald Regan's words show a profound belief in God, freedom, individualism, limited government, and his great love for his country.